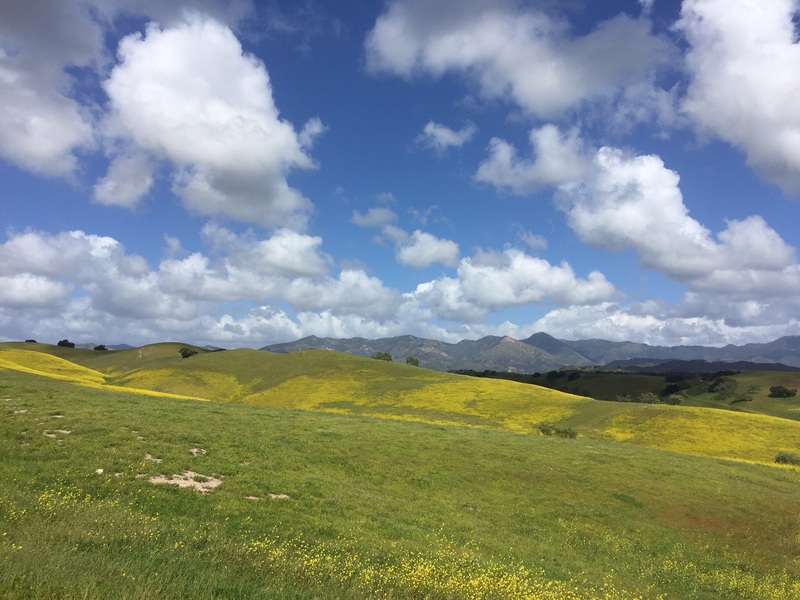 California spring scene in the Central Coast Wine Country. I am grateful for a growing readership to my blog posts from around the world, which is approaching 150 countries and 14,000 readers. My blog is becoming a resource for many of you, for its new music reports, food ideas and travel, with almost every post being called up each month for reference. Thanks for reading! Balancing the primary colors of Latin America, the endless pastels of Asia and the vintage black and white of Europe and the United States for our next Los Angeles International New Music Festival, my wife Jan and I are grounded when we are at home in California, a place that allows us to blend all of our loves from around the world. 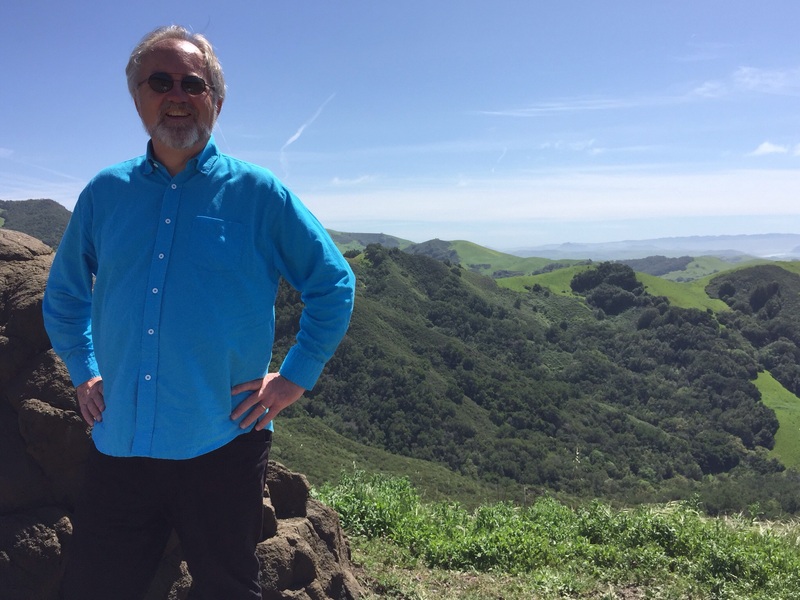 And so I thought it was time for a post from where that grounding is most visible, the countryside of California. We had good reason to spend a few days in Santa Barbara and the Central Coast a few weeks ago, rooting for best friend Kent Nagano, who was touring the West Coast with his amazing Montreal Symphony Orchestra. The parallel objective to balancing the colors of our international interests is deepening our friendships that are now forty years old while always searching out new possibilities and connections. 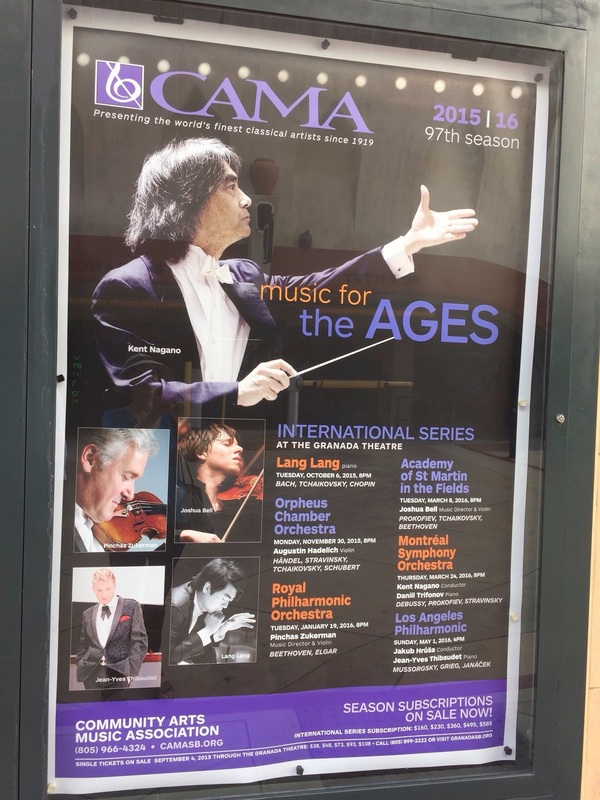 Seeing a Kent Nagano marquee last summer in Santa Barbara was a surprise! I turned 60 in August of 2015. To celebrate, we followed our inclination to spend a few days in our local countryside to enjoy the occasion. As we left a parking garage in downtown Santa Barbara on our trip to the Central Coast, we were put in unavoidable contact with a super big photo of our friend Kent, which was a happy surprise. We did our homework, emailed Kent that he was finally BIG in Santa Barbara (he grew up in nearby Morro Bay) and set our calendars to return in March 2016 to support a best friend on tour. And we had additional motivation to travel up to Santa Barbara this year. I love new characters, and here enters young Vi Pham, an exchange student from Hanoi attending university in Santa Barbara. Her mom, the superb Vietnamese pianist Quyen Trang Pham, is a tremendous player in my Hanoi New Music Ensemble and she anchors the Song Hong Chamber Ensemble, which is the core group creating this new ensemble I’m honored to conduct. 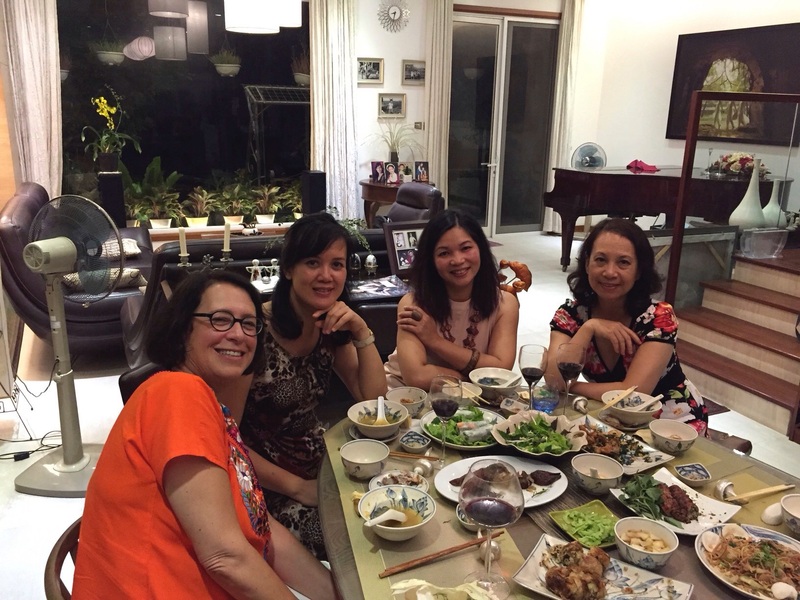 Jan at a family dinner with pianist Quyen Trang Pham, our Vietnamese tutor Tran Thu Thuy and cellist Trinh Dao in Hanoi in October 2015. 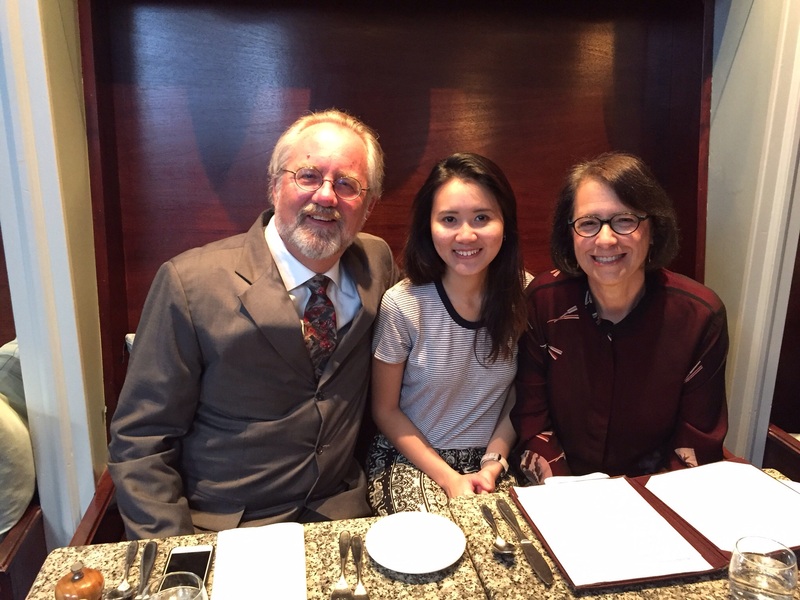 Jan and I had promised to bring best wishes to Trang Pham’s daughter in Santa Barbara, and so we planned to take Vi Pham to dinner and the concert with Kent this year. Extended international family building makes the world a better place! An extended family dinner as we bring greetings from Hanoi to Vi Pham in Santa Barbara. After dinner (Travel Tip: Jan and I enjoy Le Petit Valentine in Santa Barbara for a good French meal) we walked up to the Granada Theater to hear Kent and his superb Montreal orchestra in a bracing Parisian inspired program of Debussy’s Afternoon of a Faun, Prokofiev’s Piano Concerto No. 3, with Danill Trifonov, and the complete Firebird of Igor Stravinsky. Kent’s mom, brother and sister-in-law were backstage (he lives in Los Angeles) so it felt like a family reunion. After all, being from Morro Bay Kent finally made his Santa Barbara debut! He was beyond gracious in conversation with Vi Pham and I’m sure she’ll remember this evening for a long time to come. While of course sending back some glowing reports home to her family in Hanoi! 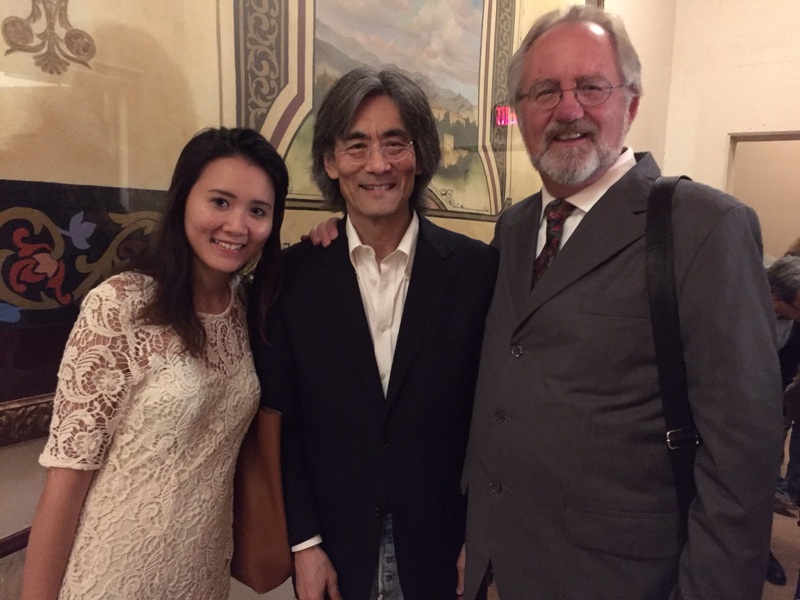 Celebrating backstage as Vi Pham meets Kent Nagano. Jan and I will be reconnecting much more with Kent soon, and those meetings will become their own blog posts. He’s quite interested in our ideas for the Hanoi New Music Ensemble and its development, and we’ll bring him up to date on all things Latin American from Mexico and Colombia and, in general, catch up on our busy lives by being in the same city and time zone. Stay connected! 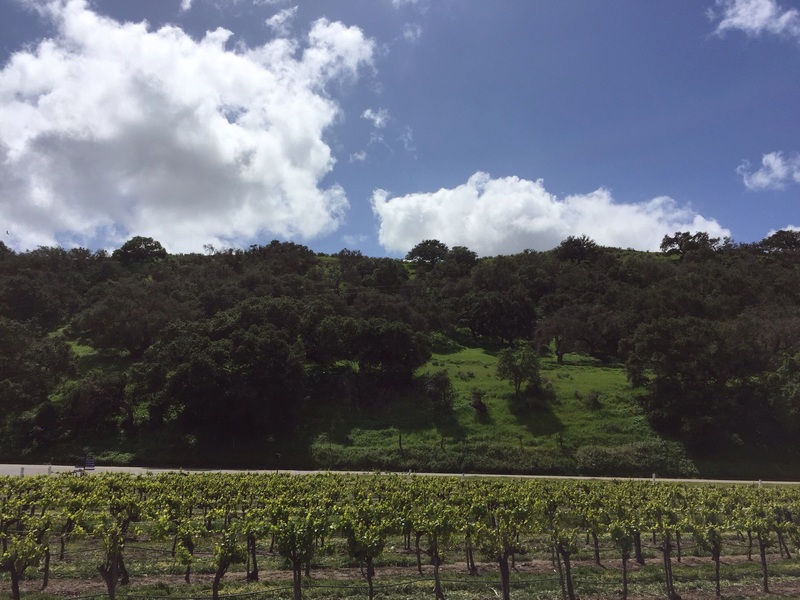 With my introduction complete, let me move on to the topic at hand, a spring drive in the Santa Barbara wine country on Foxen Canyon Road! 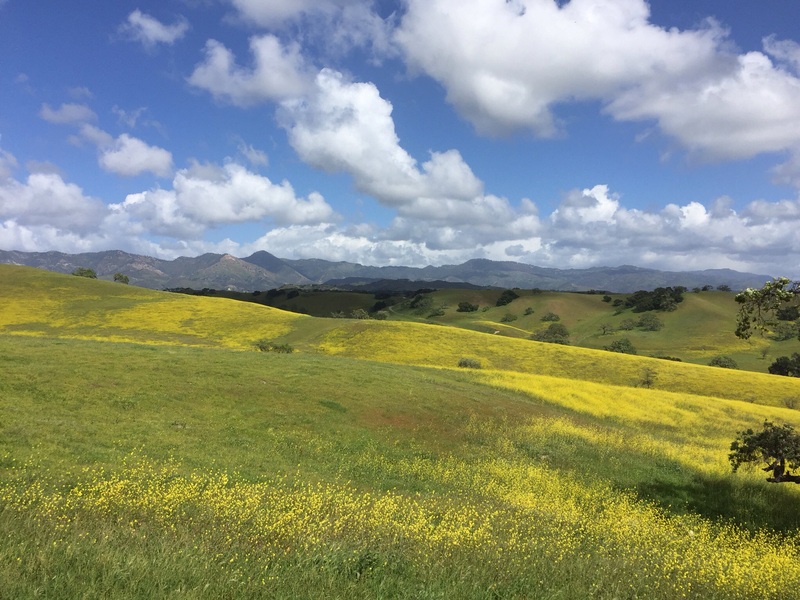 We were beyond rewarded this trip, as we’ve never seen the mustard fields quite as brilliant in our entire lives, confirmed by Central Coast friends we talked with during our short time there. 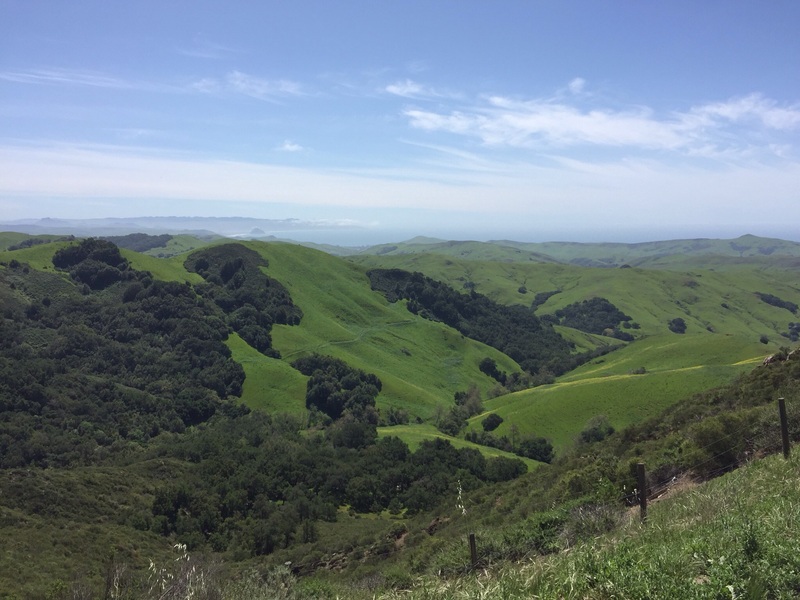 Our drought in California lessened a bit this winter, with 20 inches in the Central Coast being a big help and something to celebrate. 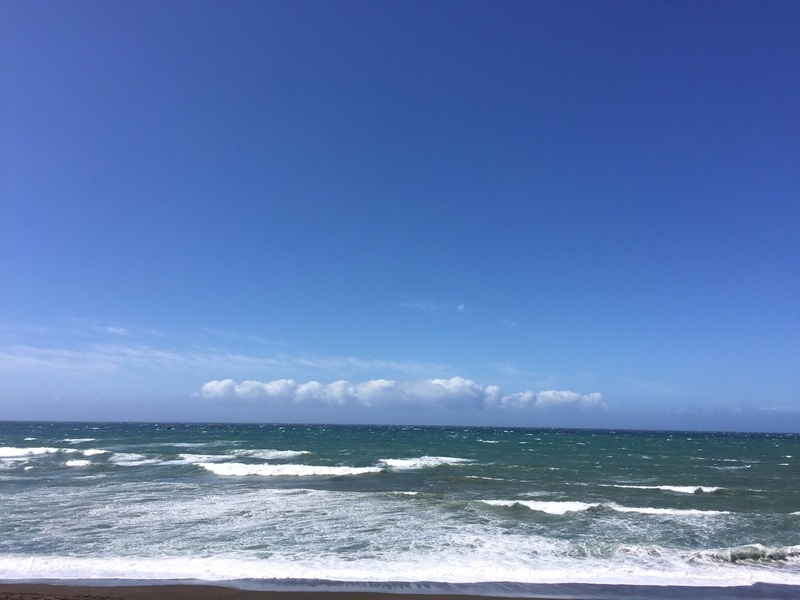 A very windy Pacific Ocean coastline in Cambria. My friend in Mexico City, Ricardo Gallardo of Tambuco, is fond of reminding me that “nothing is random.” And there was a premonition of things to come in California in my wife’s Jan’s teenage years that I hope you’ll find interesting. When she was 16, her family did a road trip from New Jersey to California. In an era before GPS, they got lost in an old fashioned “Where the hell are we?” way. Jan, however, was born with an internal GPS, called map reading. We’ve never been truly lost in any of our travels around the globe, as she will spend happy hours studying the map of any place we’re planning to visit. She knows where we’re going, in other words, in so many wonderful and confident ways. Maybe it’s because she was born in the Lunar Year of the Horse! “Dad, you should take an east-west road, California Highway Route 46, to easily get us to the Pacific Ocean,” she offered from the back of the family station wagon after quickly studying a AAA map. “It should be coming up soon.” So they were probably on Highway 101 at the time. Did she know in advance, before we met, just how much the beauty of this one road would anchor our life in California? I like facts and not coincidences, and we always remark how prescient her finding Highway 46 at 16 during that family vacation now long ago would become. We finally grabbed our first photos in 2016, after 44 years of her knowing one of the great roads in the world. 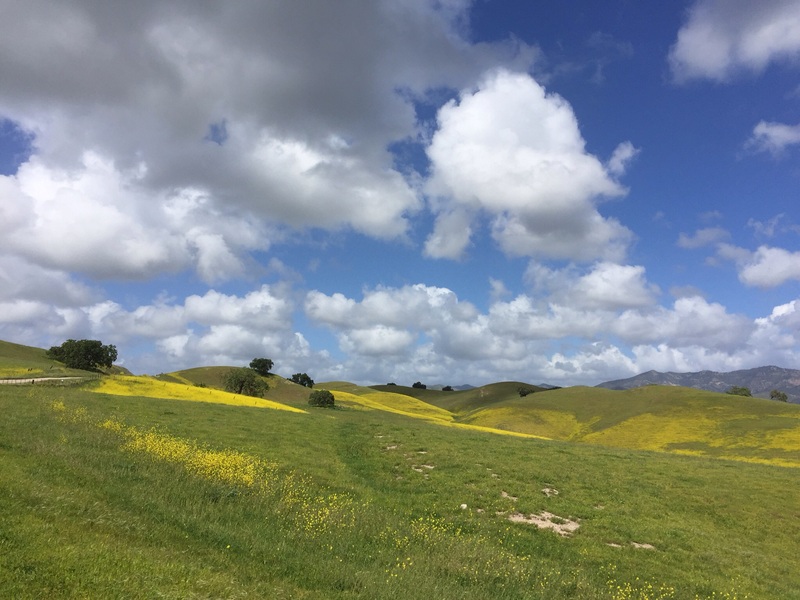 If you are planning a California trip reading this post, plan to rent a car, and drive from the Pacific Ocean to Paso Robles on this east-west Green Valley pastoral highway (it’s green only in winter/spring, just so you know). Jan on Hwy. 46, a constant in her life since she was 16. Hwy. 46 with distant views of Kent Nagano’s hometown of Morro Bay. Highway 46 mustard fields going east towards Paso Robles. 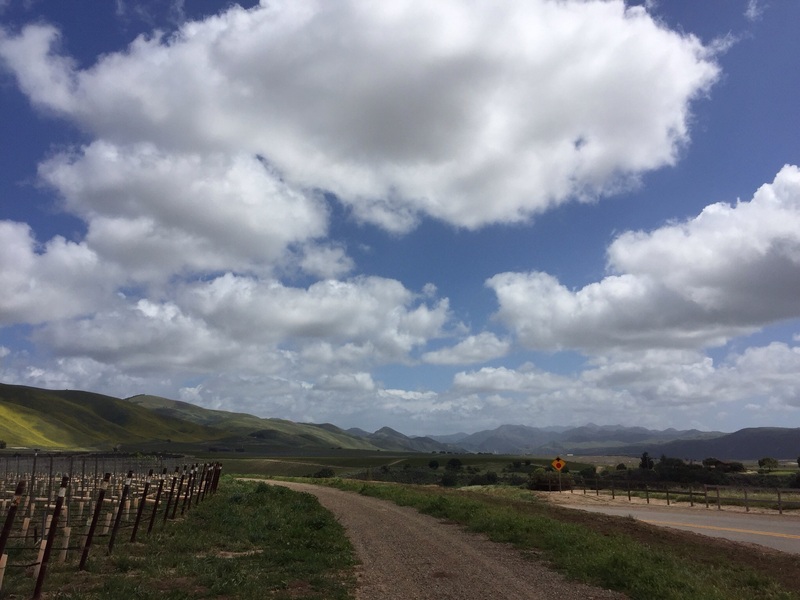 More Travel Tips for my international readers: there are numerous wine country roads to choose from in California. 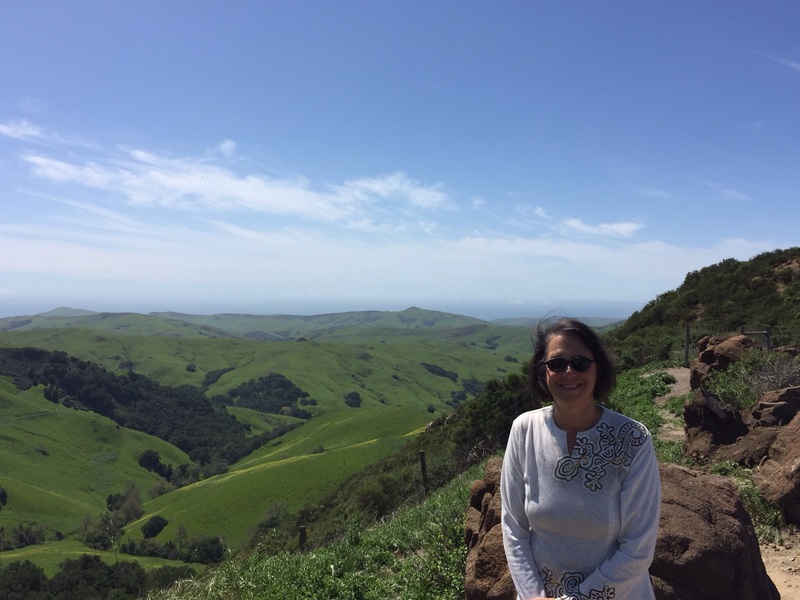 You can search my blog for some ideas about Napa Valley, Paso Robles, and other Santa Barbara ideas. 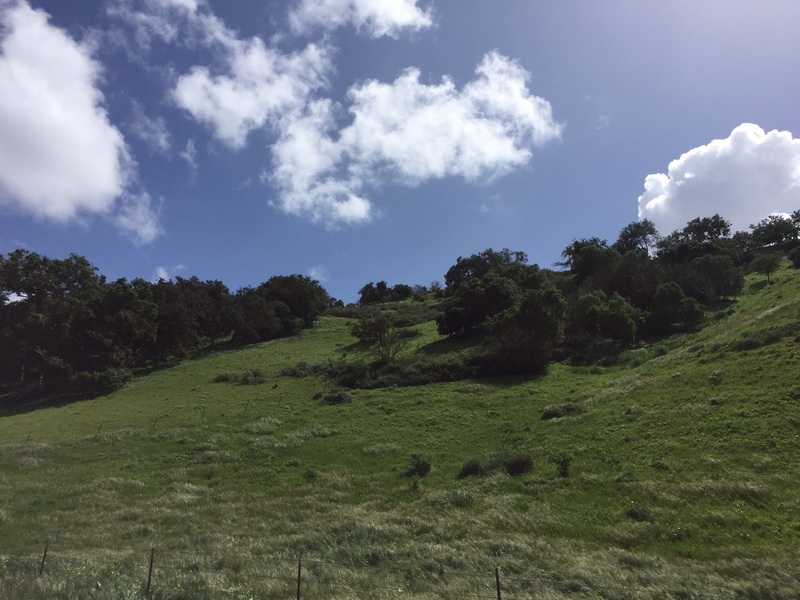 But it had been a few years since we’d driven the entire Foxen Canyon Road, which goes along the hills of Santa Maria and then up into the lush area of Los Olivos. Roads, after all, go ever onward. I’ve lived in California my whole life and this area is around two hours from my Pasadena front door. This particular day was fantastic, a combination of strong ocean winds, clouds, and blooming mustard fields that were seasonal. It’s not a long trip, not short either, so just right for an afternoon. 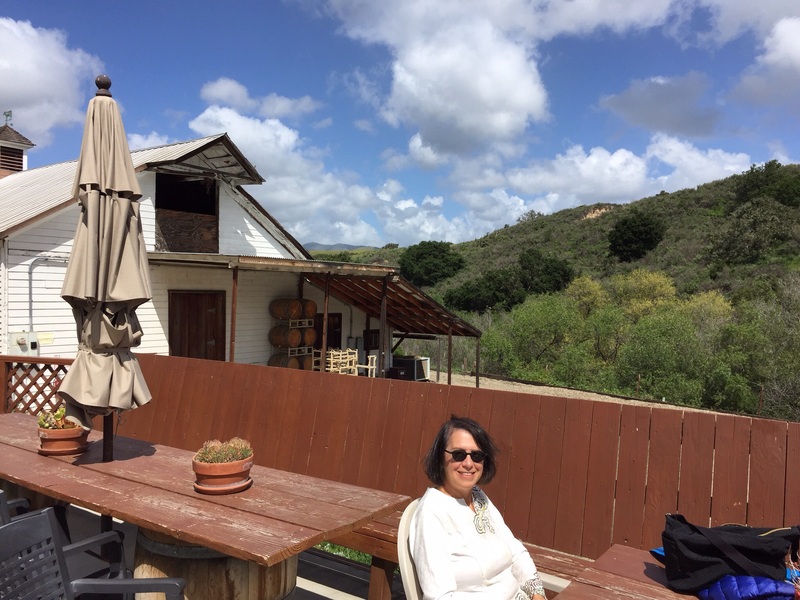 We stopped at two of our favorite wineries and recommend driving the road coming south from Paso Robles on Highway 101 if possible. It’s beautiful in both directions, don’t worry, but the south direction we like a bit more. Because driving into the Santa Maria Valley is a great sight. Foxen Canyon Road in the Santa Maria Valley. The vineyards of Cambria Winery. A beautiful bend in the road on Foxen Canyon. 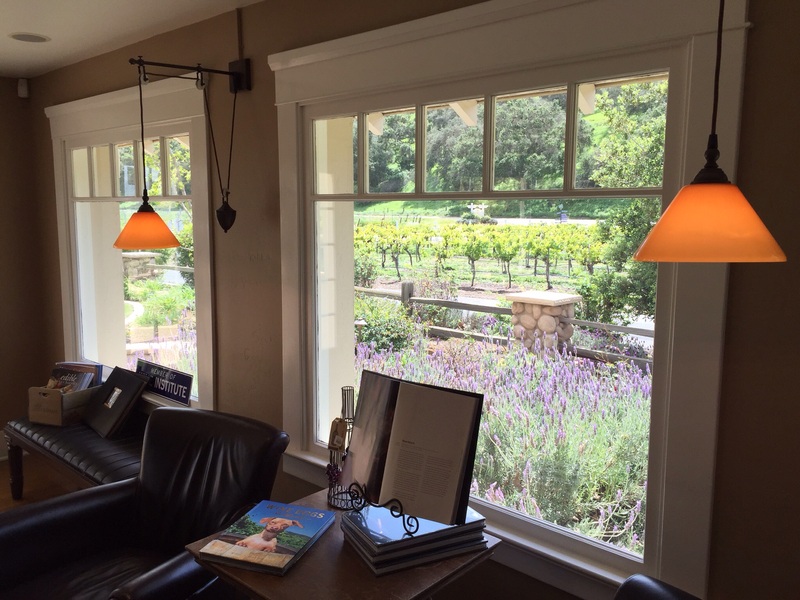 You should switch back from Foxen Canyon Road to Tepusquet (GPS is helpful, so don’t worry), to arrive at a favorite winery of ours, Riverbench, which will again be on Foxen Canyon Road. 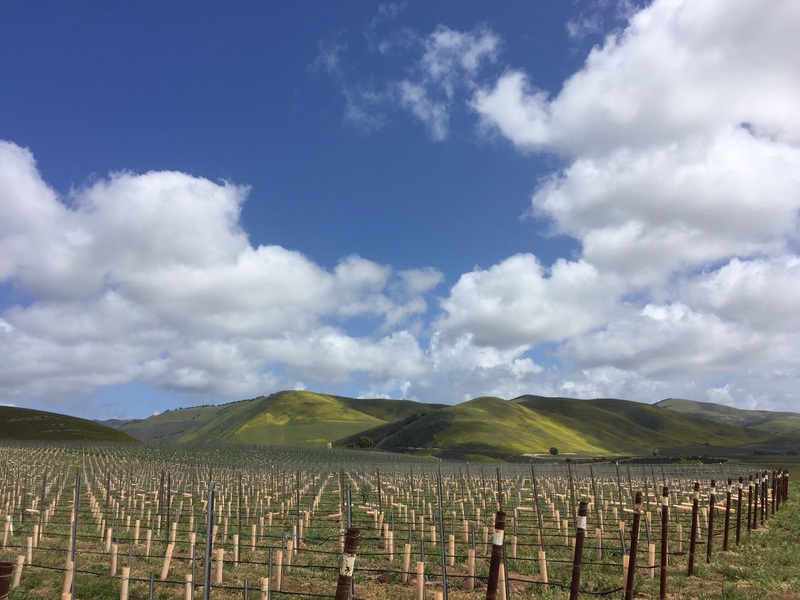 It’s one of the few wineries where the winemaker is female, Clarissa Nagy, and she always makes superb Pinot Noir and Chardonnay, which benefit from some of the oldest vines in Santa Barbara, a good thing to know about the winery. These are the only two varietals, along with sparkling wines, that she makes for Riverbench, and that focuses the tastes in ways we admire and enjoy. Perhaps you’ll agree! Riverbench Winery has the oldest vines around, with this view from the parking lot. The house of Riverbench is a great renovation of an old farmhouse, worth a visit on its own. 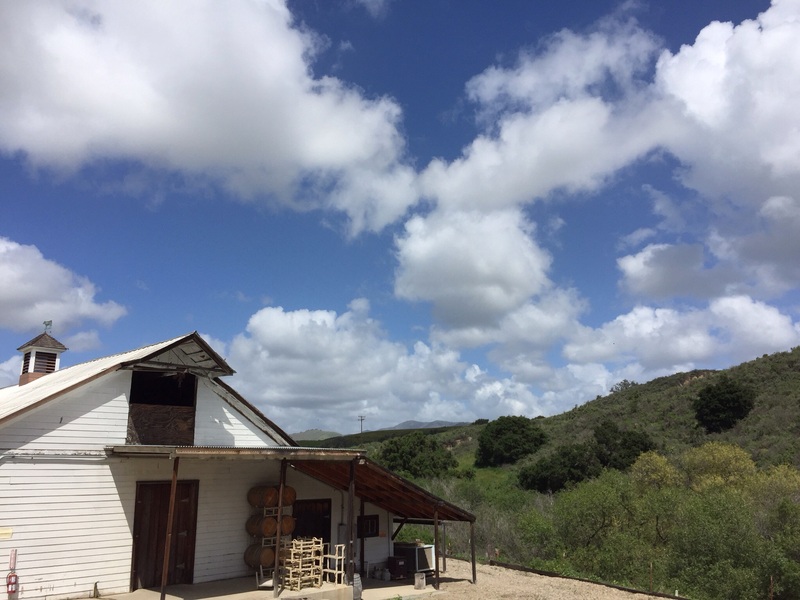 Satisfied with a great tasting at Riverbench, we headed down towards Foxen Winery, named for the British owner of the area in the 19th century, Benjamin Foxen. 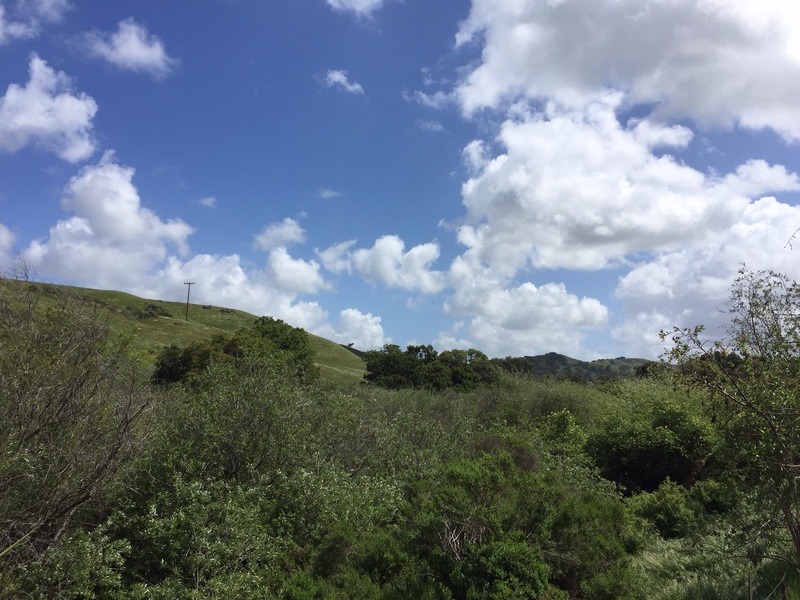 We’d brought a sandwich from Arroyo Grande and knew that Foxen had a superb picnic area with long tables and great views to eat lunch (Note: there are two Foxen tasting rooms, and this is the old one from the 1860s). But the windy Pacific Ocean breezes made the clouds a feast for the eyes. The barn of Foxen Winery. Jan at the picnic tables of Foxen. The view for lunch at Foxen Winery. 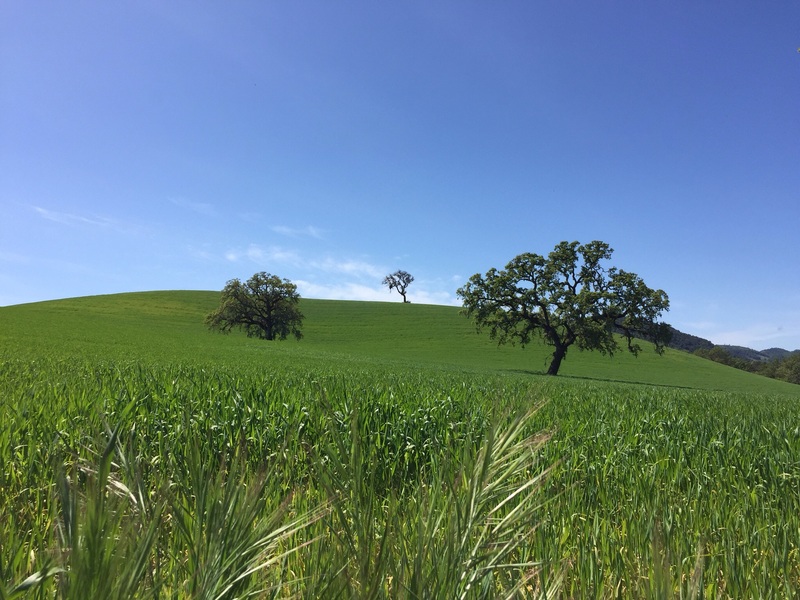 As we enjoyed a slow driving meditation through the wine country (Monterverdi madrigals provide a great soundtrack for us, putting us in a red wine mood), each turn in the road yielded another photo opportunity. 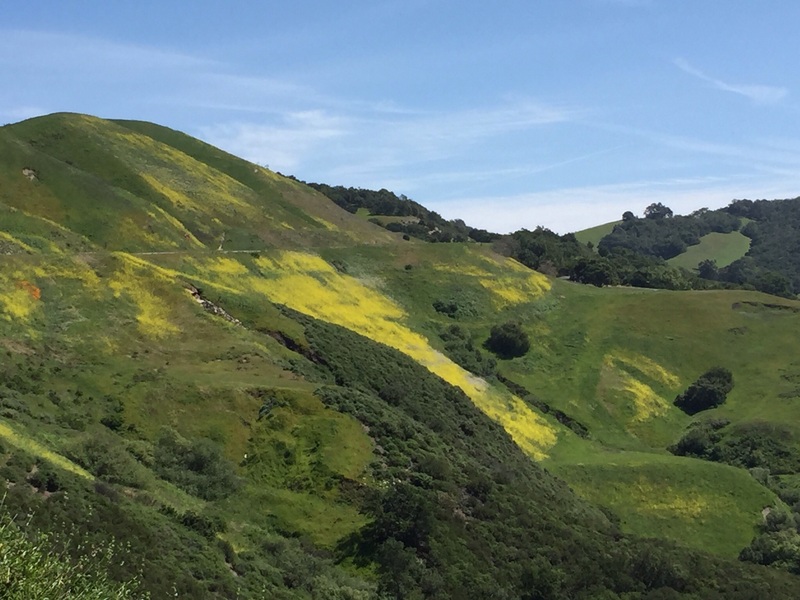 A California Spring view on Foxen Canyon Road. 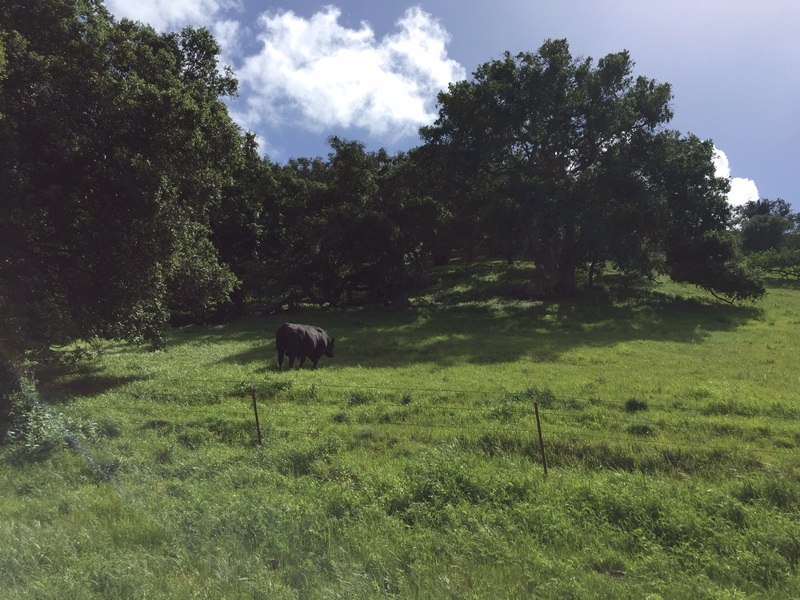 A pastoral cow enjoys the lush grass. 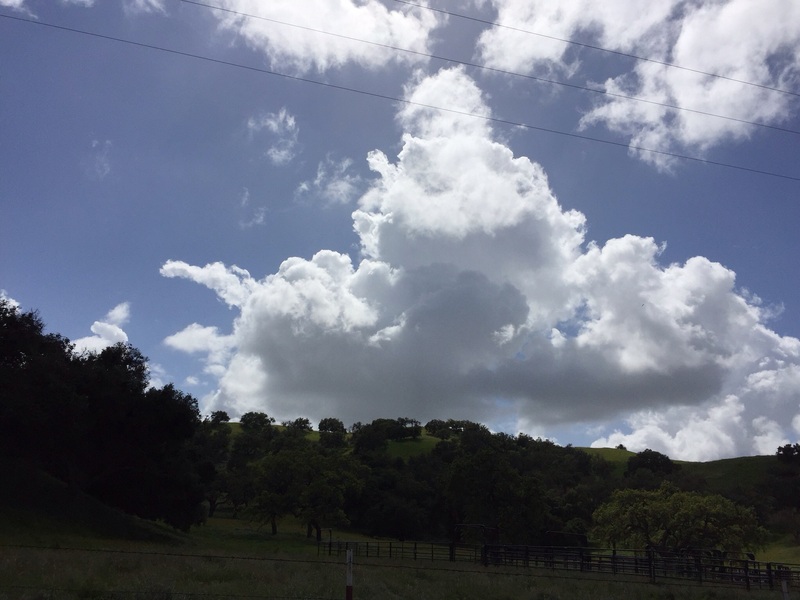 A tremendous cloudscape as we drive towards Los Olivos. 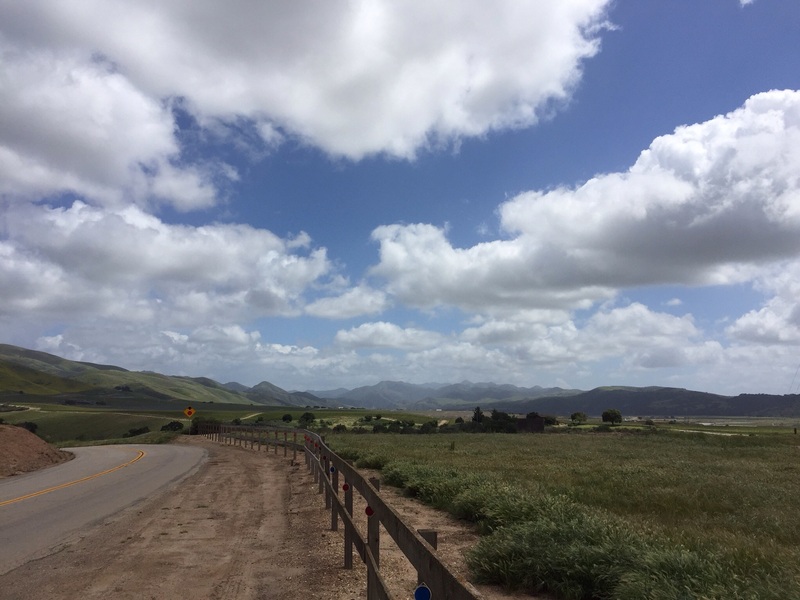 As we got closer to the small village town of Los Olivos, the Foxen Canyon Road goes up a plateau that always is a great view. 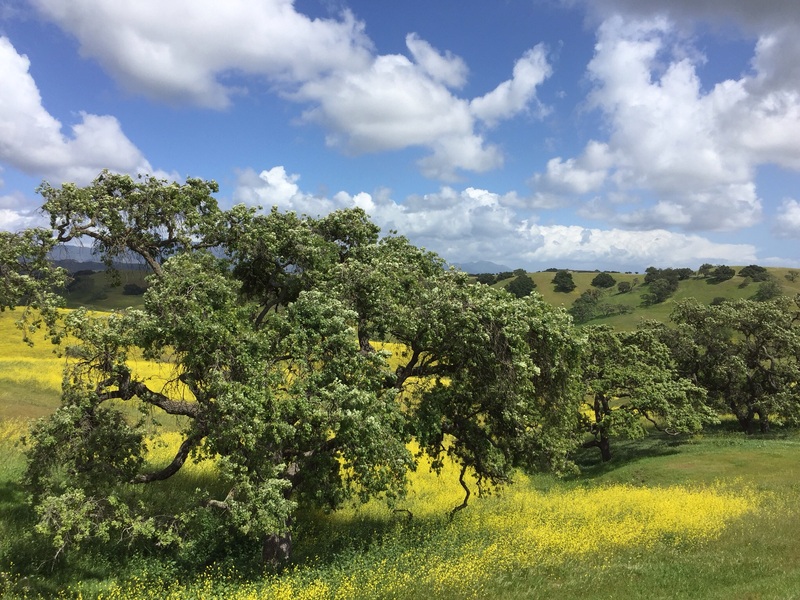 But thanks to 20 inches of rain bringing some hope to our continuing drought conditions, the mustard fields fanned out in ways that took our breath away, and I hope yours as well, no matter where you might be reading this post on Planet Earth. A beautiful tree surrounded by mustard fields. To my left on Foxen Canyon Road. The center of the Foxen Canyon plateau. The Foxen Canyon plateau heading towards Los Olivos. Add into these refreshing and pastoral landscapes ever improving wineries, fantastic small farms, carefully maintained livestock, fresh seafood, endless olive oils, herbarium on a par with Provence, and you’ve got a glimpse of where California’s reputation comes from, why cuisine is extraordinary in the Golden State, all combining to make us the most touristic area in the United States. That’s before you factor in Apple, Google, Facebook, YouTube, Hollywood cinema, which all call California home. Maybe that’s why, when we’re traveling and asked where we’re from, we usually answer “California.” It’s a place that’s a state of wonder, and a state of mind. On Highway 46, a road that always calls us back. Jerzy Grotowski, the founder of the Polish Laboratory Theatre and one of the most compelling theatrical forces of our time, accepted a position at UC Irvine, I believe in the 1980s. Jan, whose first love is theatre, read all the newspaper reports with great enthusiasm about his role in southern California. At his first interview, Grotowski was asked about how he would adapt to the almost permanent newness all around him compared to his European roots.